The Meadows Mental Health Policy Institute was conceived by The Meadows Foundation to raise awareness of mental health and promote change in mental health services using policy research and development. To better reach their audience, the institute was advised to use the external facing name, Texas State of Mind. After the institute's name was amended, an identity was designed for Texas State of Mind. Infographics, brochures, and videos were developed to magnify the brand launch. 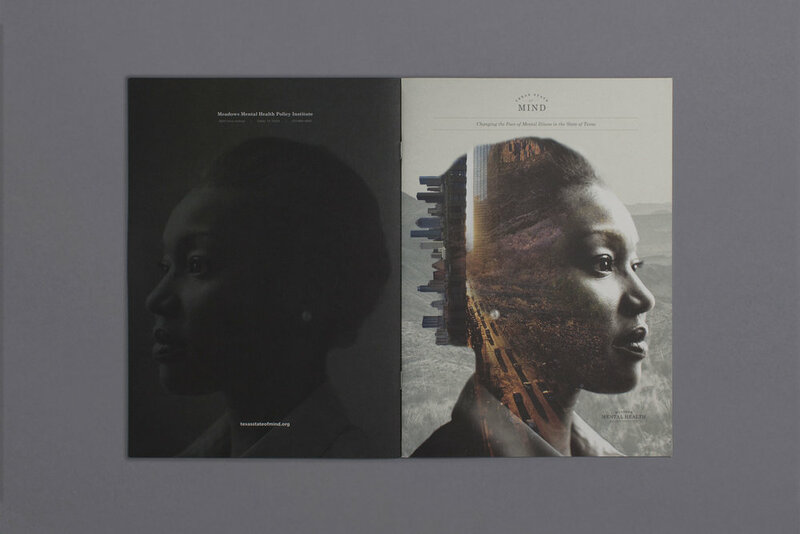 Each year's annual report was an account of the institute's burgeoning progress. The theme of 2015 centered on "Changing The Face of Mental Illness." In 2016, the report focused on the institute's "Commitment to Connect" on a statewide level.